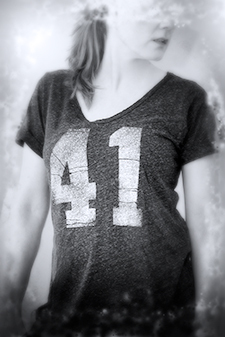 Lesia Daria | Why 41? Forty One is the age of protagonist Eva and the story and by-word for her search for meaning. Her journey is both emotional and intellectual, so Forty One is a book that will not disappoint the reader in either sense. On the surface of plot, character and themes, the novel is a modern domestic drama: a Polish wife home alone with the children, while English husband works abroad. Problems such as loneliness, questions of identity and middle age angst form the bulk of Eva’s daily struggles, coupled with issues such as family finances, taxes, schools and child rearing. But Forty One is also an unveiling of philosophical query and belief, which unlike Sophie’s World or Life of Pi, does not stray into the didactic or allegory. The plot is always real and engaging, the conversations pointed. If Forty One hides any tricks at all, they are deeply ingrained. Buried in the text is a thin layer of self-reflective writing that only close inspection of language and metaphor would reveal. So the beauty of Forty One is the pliability of language and that it doesn’t really matter on which level the novel is read. It’s a book meant to be as accessible to a casual as an attentive reader – you just get more out of it the deeper you dig.